Term insurance is the most basic and popular form of life insurance cover that provides coverage for a specified period of time. So, if the insured person dies during the policy term, death benefits are payable to the beneficiary. Otherwise, there are no maturity benefits if the insured person survives the policy term. Term plan is the best way to provide financial security for your family in case of death or uncertainty. You can buy a huge sum assured at a nominal premium amount that can help your family lead a financially independent life after you. There are various factors that should be kept in mind while buying a term insurance, which most people generally tend to ignore. Else you may end up buying a wrong term plan that does not suit your requirements completely and will provide you an inadequate coverage. 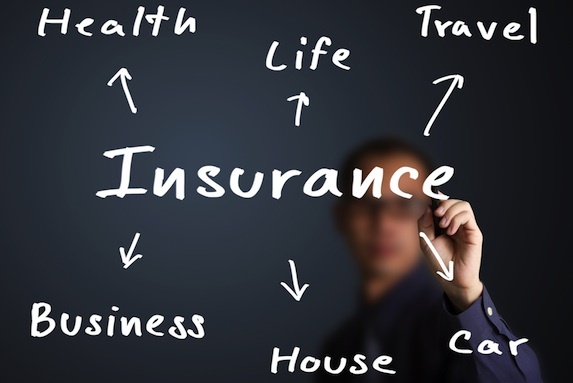 Not Buying Sufficient Coverage: The biggest advantage of term insurance is that it is the cheapest form of life cover. You can buy huge coverage by paying a small amount of premium. But in order to save money on premium, people buy minimal coverage. This defeats the overall purpose of the term insurance if it does not provide adequate coverage for your family in the event of your death. Hence, ensure that you buy sufficient coverage by determining the right amount of life cover based on your family requirements. Delaying your Buying Decision: Another common mistake that people make while buying the term plan is that they keep on postponing their buying decision. The best time to buy a life insurance is when you are young and healthy. This helps you in saving the premium amount as well as ensuring financial protection against uncertainties. Buying the same coverage in later years of life can burn a big hole in your pocket. Choosing a Shorter Term for the Policy: To save additional money, people may buy a term insurance plan with insufficient term coverage. They may decide to go for the shortest term possible to keep the premium amounts to a minimum. However, this will cost you higher in the longer run. For instance, if you are buying a term plan at the age of 27 for a term of 10 years, then at 37, your plan will expire and you will have to buy a new plan. Buying a new plan at that age will be expensive. Moreover, you might not get one due to some health condition. Hence, it is important that you choose a term that matches your anticipated needs. The plan with a longer term ensures that you are covered for sufficient years at the lowest possible premium. Not being Truthful: It is always best to disclose true and correct information on your insurance application form, even if you end up paying a higher premium amount. For instance, if you have any health-related issue and you buy a 5-year term insurance plan without disclosing the issue. In the case you expire during that period and the reason of death is found to be that health-related issue, then the policy will be considered void and nothing will be paid to the nominee. This can leave your loved ones with no financial resources when they need them the most. Not Adding Required Riders: The term plans provide the most basic coverage. Hence, the insurance companies provide various additional coverages in term of riders that can be bought over and above the basic coverage of the term plan. Most of the people add riders without efficiently studying about them. This makes the term plan expensive without any adequate benefits. Hence, it is important that you analyze all the riders carefully and add only those riders that provide real benefits to you. Not Looking beyond Premium: While making a decision regarding buying an insurance policy, most of the people do not look beyond the premium amount. If the premium amount is under their budget, they decide to go for the policy without even analyzing what all features such as sum assured, the tenure of the policy, coverage etc. are provided by the policy. Hence, the premium should not be the only deciding factor. You need to look at the overall benefits that are provided by the policy. Not Checking the Claim Settlement Ratio: The main purpose of buying a term insurance is that your family gets sufficient financial support when they need it the most. Hence, it is important that your insurance company should have an effective claim settlement process. It should be simple, quick and hassle free since the family who mourns the loss of their loved one cannot deal with a complicated settlement process. So, most of the people ignore to analyze the claim settlement ratio, which can leave their family in a difficult situation after they are gone. Every life is precious. Hence, protect it by buying a correct term insurance cover. Make sure to check online about what all products are available in the market based on your requirements. This helps in the careful analysis of benefits provided by each plan and even helps in comparing the premium payable in respect of each plan. Also, it is important to ensure that the company you choose should have a good claim settlement ratio so that your loved ones do not need to go through any financial hassles once you are gone. Is Your Quote Based Just on Your State, County, City or Zip Code?